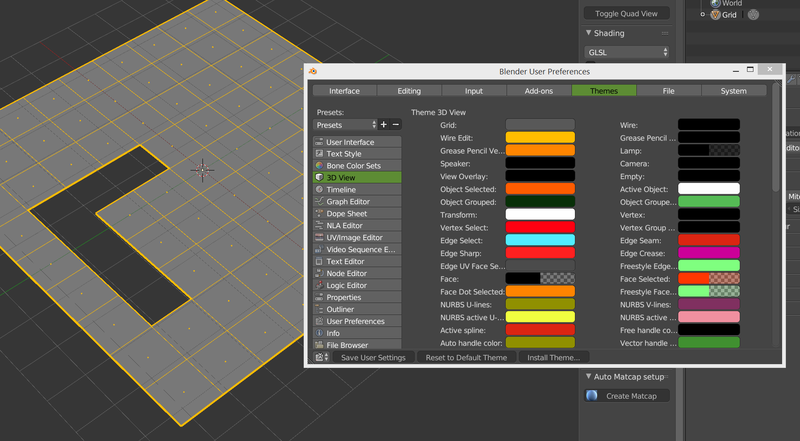 Not a blender dev but an addon made by Matpi on Blenderlounge to show border Edges. It will be great to have this feature in trunk ! Merci pitiwazou mais pourquoi matpi n’a pas fait de page içi de son add-on? Félicitation de loin à Matpi bien évidemment! Je n’ai pas crée ce post, je l’avais mis dans blender developpement, c’est un modo qui l’a déplacé. It wasn’t supposed to be here, but in a post in blender developpement. It’s an addon in python, so on a dense mesh, it’s slow down the viewport. I wanted to show to the blender dev’s that this is really usefull when modeling. Just to know I couln’t enable the addon. I had to copy text from RAW and paste it to an empty text document. Then changed extention to py. Thanks for script. It would be nice to have ability change color of border. As pitiwazou said, he first wanted to show it to developers in a kind of “feature request” (as it would be much faster if hardcoded), but the thread has been moved. Anyways, I was - and still am - going to create a thread here on BA about all the addons I have coded. I just wanted to write some doc first, but it should arrive soon. As for the colors - the addon picks the ones from the theme in an attempt to be coherent. Sadly the “special” ones from edit mode (sharp, seams, freestyle, crease, etc.) cannot be drawn, or at the cost of massive losses in speed (it basically needs to read all edges twice, one in “normal” edit mode, and the other in bmesh mode). If there was much demand for it, I could consider modifying the addon to enable custom coloring. there could be some bugs remaining, if so, please give me/us feedback. versions often change (>3 commits this morning…), with improvements each time. Please try to stay up-to-date. I actually developed an addon simplifying checks for new versions and downloading, I will write a bit more about it when I start my own thread. if you have enhancement ideas (or anything else), it’s the right time! Thanks to all testers & users! Here’s to hopes your effort is not in vein and someone on the dev end picks up the idea. Great addon ! Very usefull especially when you retopo and have a mirror modifier (with the edit cage button enabled) . And yes it is really usefull, it will be great to have this in Blender prefs.